•Raising awareness of safeguarding issues and equipping children with the skills needed to keep them safe. •Developing and implementing procedures for identifying and reporting cases, or suspected cases, of abuse. •Supporting pupils who have been abused, in accordance with an agreed, child-centred plan. •Establishing a safe and nurturing environment free from discrimination or bullying, where children can learn and develop happily. •Report any inappropriate behaviour / activities to designated staff. •Establish and maintain an environment where children feel secure, are encouraged to talk and are listened to. •Ensure that children know that they can approach any adult in school if they are worried and they will receive a consistent, supportive response. •Provide, within the PSHE curriculum, opportunities for children to develop the skills they need to recognise, and stay safe, from abuse. Safeguarding Policies are located under policies (see link below). The governing body carry out visits and monitor our school procedures to ensure our policies are robustly followed by all adults working with and visiting our school site. Keeping Children Safe in Education 2016 has been revised and the new version comes into effect from September 2018. The school as a teaching and support team, governing body and in conjunction with our Local Authority, have revised all safeguarding policies and in school procedures to meet new requirements to ensure our policies are robust and central to our safeguarding culture. Staff will have undergone update training at our INSET day on the 3rd of September 2018. Our safeguarding and child protection policies are reviewed annually and our safeguarding policy section contains all of the current policies. 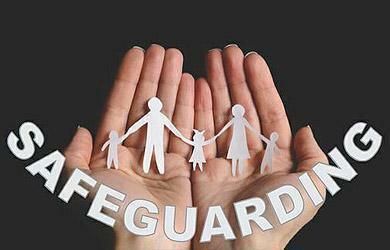 Please click on the link below to access our safeguarding policy section. All staff, DSLs, the Governing Body and volunteers have regular training and updates as required by policy changes both nationally and locally.